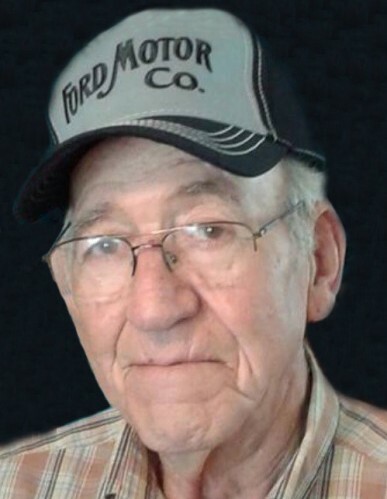 Mervin Clifford Pyne “Chief” age 85, passed away peacefully in his home in Tooele, Utah on January 25, 2019. He was born November 23, 1933 in Orem, Utah to Walter Leroy and Theresia Clayton Pyne. The oldest of five siblings, he loved to play with toy cars and trains as a child. He grew up on a farm with chores to do, animals to care for and a fruit orchard to tend. As a youth he delivered newspapers, sold fruit door-to-door, worked in a cabinet shop and a grocery store where he learned the value of hard work. He played the tenor saxophone in a dance band, ran track and played tennis in high school. He met, then married VaNeta Taylor on June 19, 1953 in the Manti, Utah temple. Together they had five children. He loved playing baseball with his sons, fishing, camping and hunting pheasants with his family and friends. Merv loved German shorthair pointers, with Sadie being one of his favorites. He loved his career as chief engineer of telecommunications at Dugway Proving Ground. After he retired he started his own business Pyne’s Chem Dry in 1982, eventually creating a second company, Merv’s Floor Covering where he worked until he could no longer run a knee kicker. He was a two-time cancer survivor. He loved his family, friends, coworkers, customers and employees. He was a friend to all who knew him. Merv would help anyone in need. He was a member of The Church of Jesus Christ of Latter Day Saints. He is preceded in death by his “lovely bride” VaNeta Pyne, Granddaughter Melissa Pyne, Grandson Dustin Pyne, Great grandson Dayton, parents Walter and Theresia Pyne, brother Leslie Pyne. Mervin is survived by His Children, Roland (Holly), David, Craig, Scot, Stacey Nigh (Derek), many Grandchildren and Great Grandchildren, sister Julia Groesbeck, bother Cordell Pyne, sister Loretta Nelson (Mark), sister-in-law Janet Pyne, and his faithful Labrador retriever companion Tank. Viewing Tuesday, Jan. 29, 2019 at Tate Mortuary 110 S Main Tooele Utah, from 6-8 p.m.
Funeral Wednesday, Jan 30, 2019 LDS Church 200 S 200 W at 11:00 a.m. with a viewing prior from 9:30-10:45 with internment in Tooele City Cemetery. Luncheon to follow internment at 200S. 200W. bldg. The family wishes to express sincere thanks to all those who gave care to Merv over the last few years. In lieu of flowers, please make donations to Primary Children’s Hospital in his name.